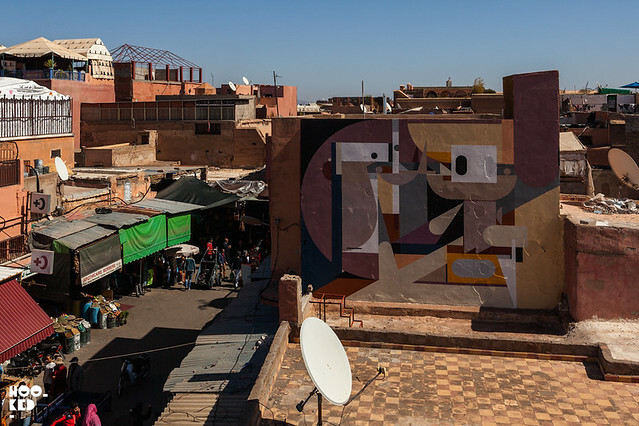 Morocco — Art and travel are among two of our favourite things so when an email came through inviting us to the Marrakech Biennale we were pretty excited especially as it was the Moroccan Tourism Board who were extending the invitation to us. Morocco has been on our list of places to visit for some time now and after a pretty grey London winter our vitamin D levels were in need of a top up and some North African sun was just what was called for! Just under a four hour flight from London and we were landing in the impressive Marrakech Menara Airport. 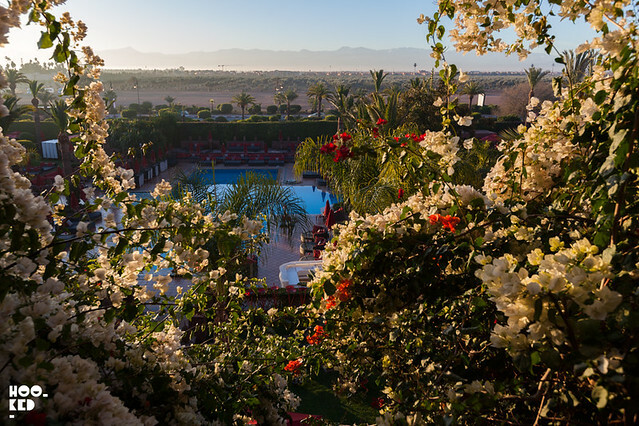 Unlike many of the budget airline routes that see you landing in airports miles outside the city where sometime the flight is shorter than travel time from the airport, Marrakech airport is conveniently located just 15 minutes outside the city. 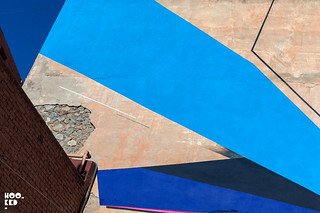 Our arrival in this beautiful city coincided with this years edition of the Marrakech Biennale now in its sixth year. 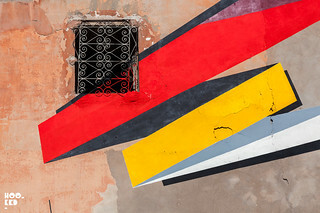 Founded in 2004 by Vanessa Branson, the Biennale has since grown to become an internationally recognised event with a thriving visual art and literature programme now ranking among the top 20 biennales in the world. This year's core programme has been curated by Reem Fadda, currently Associate Curator of Middle Eastern Art for the Guggenheim Abu Dhabi Project. For the first time since the inauguration, Street Art formed an integral part of its programme in a form of 'parallel projects'. 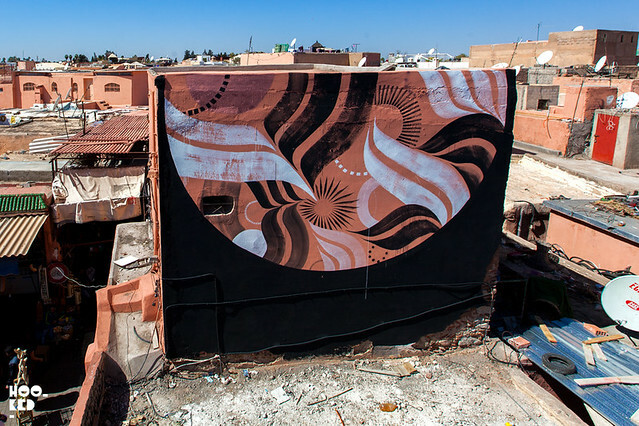 The MB6: Street Art parallel projects curated by Vestalia Chilton of ATTOLLO Art saw eleven international and local street artists invited to Morocco to participate in the project. The artists who were invited to take part in the project included Mad C (Germany)(Previously on Hookedblog), Dotmaster (UK), Giacomo Bufarini aka RUN (Italy)(Previously on Hookedblog), Dag Insky (France), Kalamour (Morocco), Alexey Luka (Russia), LX.ONE (France), Lucy McLauchlan (UK), Remi Rough (UK)(Previously on Hookedblog), Sickboy (UK)(Previously on Hookedblog) and Yesbee (UK) who created murals in key public spaces which included the rooftops of the souks in the Medina (‘Gallery in the Sky’), the Bahia Palace area, the walls around Gueliz, the new part of Marrakech and in the city of Essaouira. MadC. MB6 Street Art. 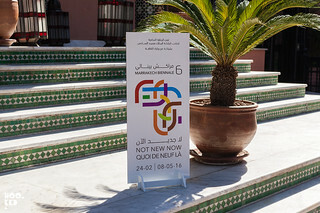 Marrakech 2016. Lucy McLauchlan. MB6 Street Art. 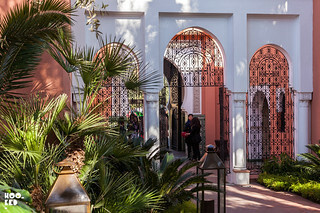 Marrakech 2016. Alexey Luka. MB6 Street Art. 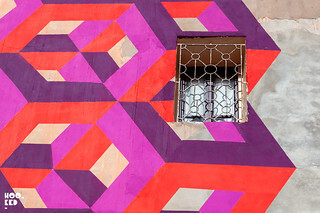 Marrakech 2016. Remi Rough. MB6 Street Art. 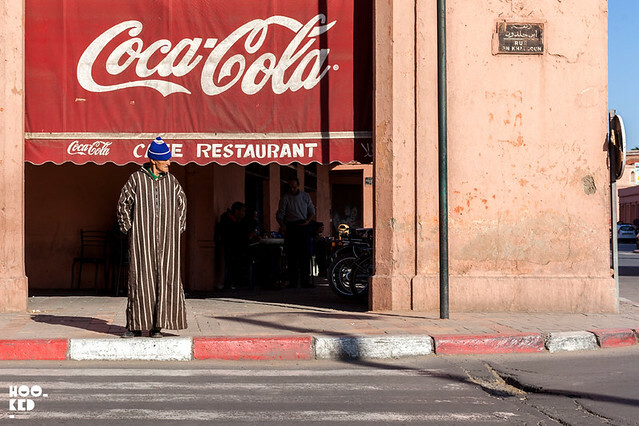 Marrakech 2016. LxOne. MB6 Street Art. 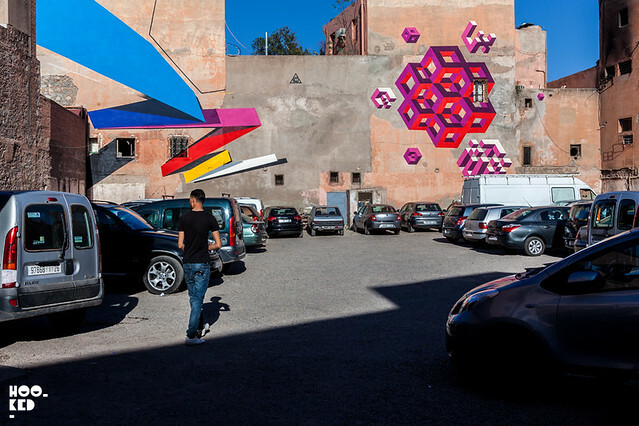 Marrakech 2016. 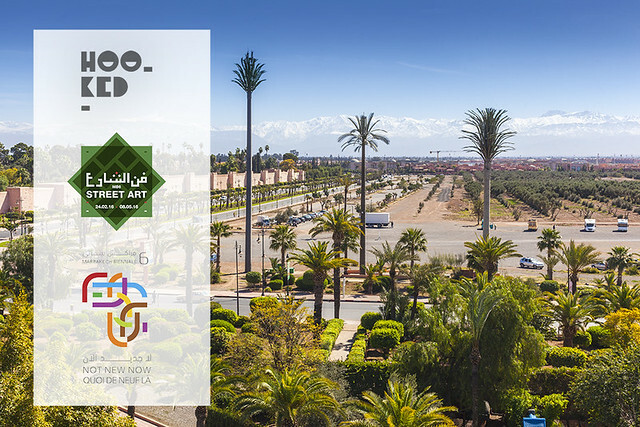 We were guests at the Sofitel Marrakech Palais Imperial during our Marrakech stay and we would like to thank Faical at the Morocco Tourist Board who hosted us during our Marrakech visit. 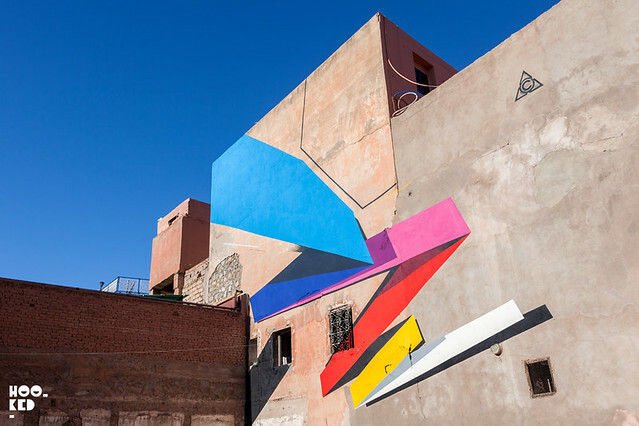 We visited Marrakech on the 18th February, the Marrakech Biennale runs until the 8th May 2016. 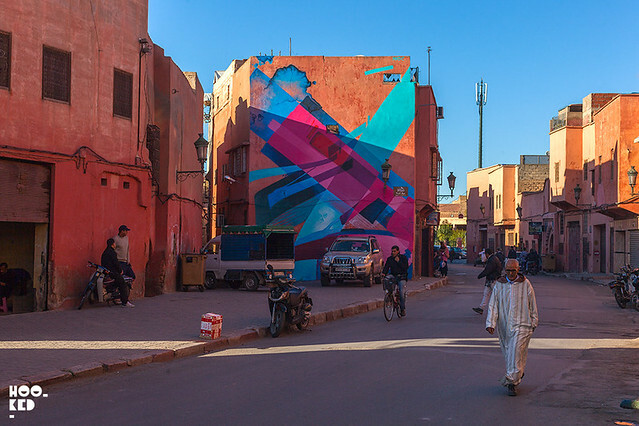 Stay tuned for the second part of our coverage of the MB6 Street Art project.